What does a small, Lithuanian religious order have to do with the great American pastime of baseball? 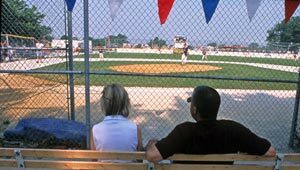 In the parks-poor West Lawn neighborhood of Chicago, the five-acre playing fields of the Marian Fathers of the Immaculate Conception have hosted little league baseball games since the early 1960's. The local parochial school, St. Mary's, also uses the ball fields for outdoor recreation. Reluctantly, the Marian Fathers decided to sell the land, to raise capital for their religious publishing program. To ensure that baseball would remain a part of the community, they sought a buyer that could guarantee the fields' protection. Working with Chicago's Department of Planning and Development, TPL acquired the land in early 2003, and then transferred it to the city for management by the Chicago Park District.